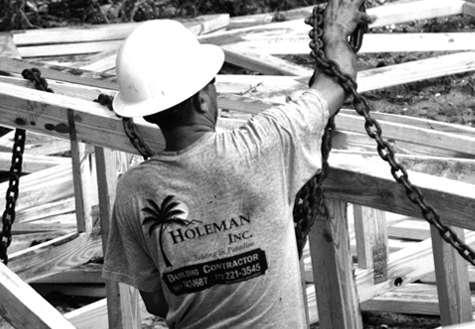 Holeman Inc. provides a full range of Shell Contracting services for both residential and commercial projects. We deliver complete foundation, masonry, cast-in-place concrete, and rough framing packages, eliminating the need for multiple subcontractors and complicated scheduling. It all starts with our Estimators, who use the latest software to provide quick and accurate estimates from digitized plans. An experienced Project Manager is then assigned to your job, to schedule and supervise our teams of highly skilled professionals, throughout each phase of the shell work. Your jobsite will be kept clean, safe, and in accordance with our OSHA-approved safety plan. With careful attention to overhead and costs, Holeman Inc. ensures that every client receives the maximum value for their investment dollar. The James Hardie® corporation has certified Holeman Inc. as an “Elite Preferred” installer of their building products. We are the only company in southeast Florida to earn this prestigious designation! This certification assures you that your fiber cement siding will be installed in accordance with James Hardie’s “Best Practices” and that we meet their exacting standards of excellence. 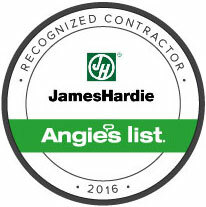 In addition, we earned a Super Service Award from Angie's List, for our superior workmanship and outstanding customer service. We are also Certified Green Professionals, a designation awarded by the National Association of Home Builders. “Green Builders” use products that offer greater durability and energy efficiency, making your structure more environmentally sustainable. Over the years, Holeman Inc. has grown from a builder of custom homes and commercial projects, to a highly specialized Shell Contractor and “Preferred” installer of James Hardie® siding products. We employ some of the most talented individuals in the industry, giving us tremendous expertise and decades of experience.